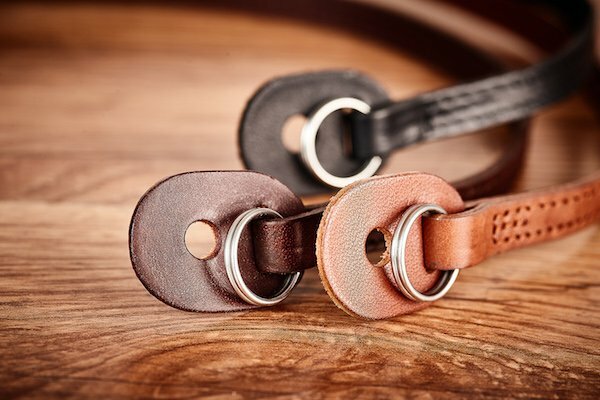 Embodying timeless elegance, the camera strap MOSEL is made from the highest quality materials and is light, durable and handmade in Germany. The work and ambition of any photographer is as unique as the photographer themselves, which is why the camera strap MOSEL is a stylish yet functional accessory to any system camera. 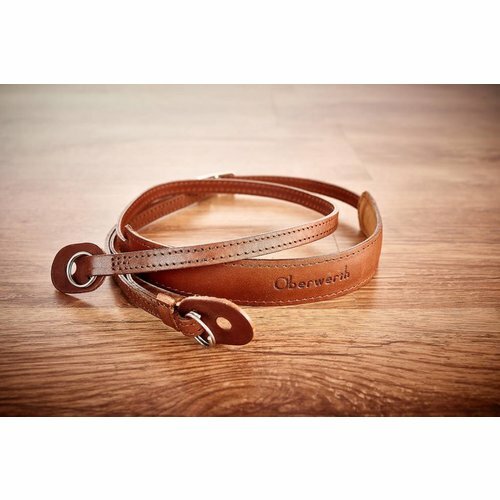 The strap is handmade of finest vegetable tanned cow hide. A plastic band sewn into the strap enables the MOSEL camera strap to bear a load of up to 25 kg. 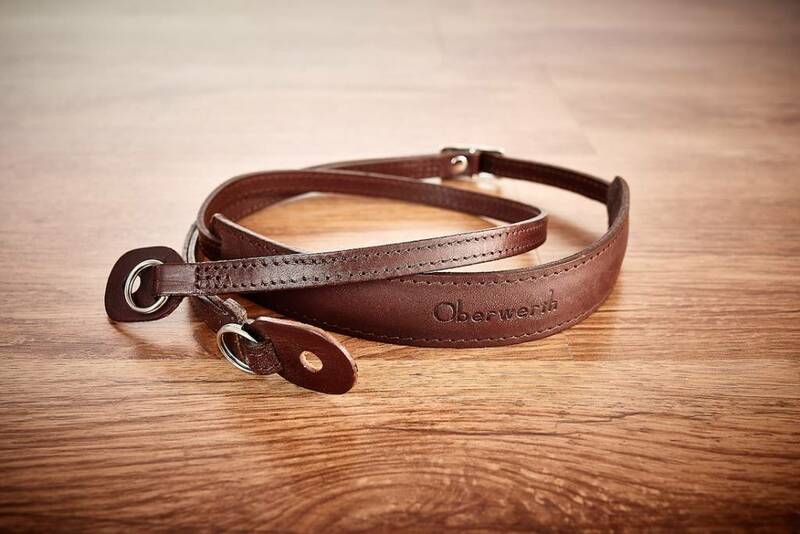 The length of the strap is continuously adjustable up to 114 cm. Very fine cow hide ensures an elegant and timeless look. Padded, narrow neck pad with suede base ensures a comfortable and non-slipping wearing. 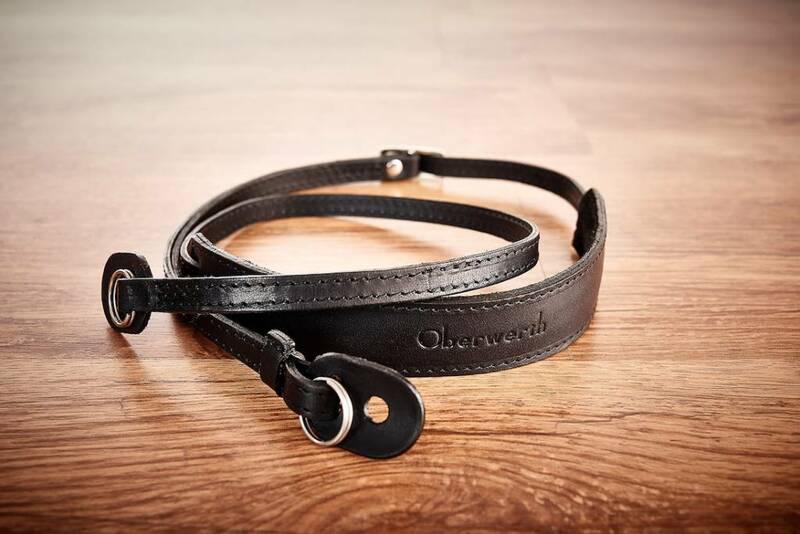 Smooth and supple feel on both sides of the belt, achieved by stitching the smooth sides of the split leather against each other. 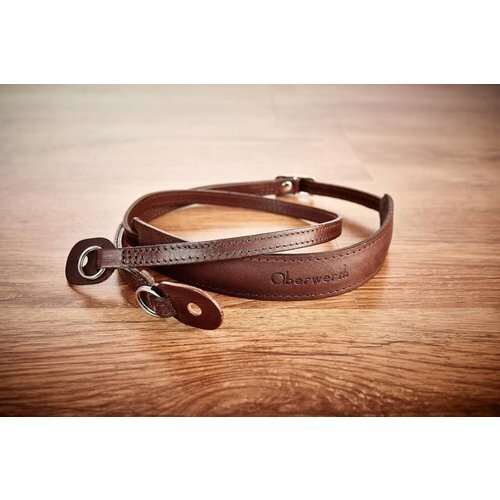 Fine stitches border the belt without disturbing its supple feel. 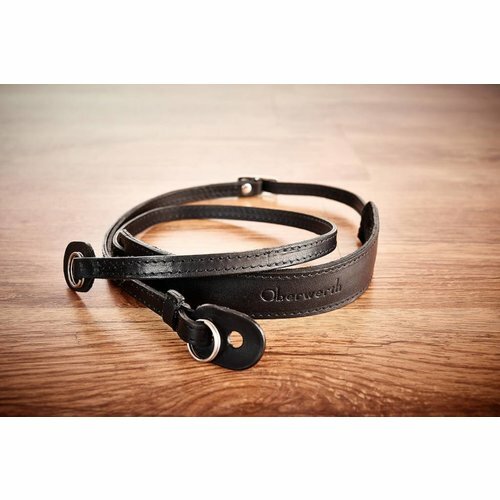 The length of the strap is continuously adjustable up to a length of 114 cm/44.9 inch. 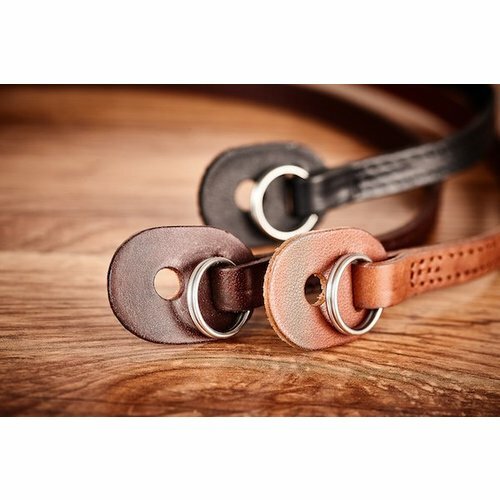 A specifically sewn, unnoticeable plastic tape gives the leather additional tensile strength. 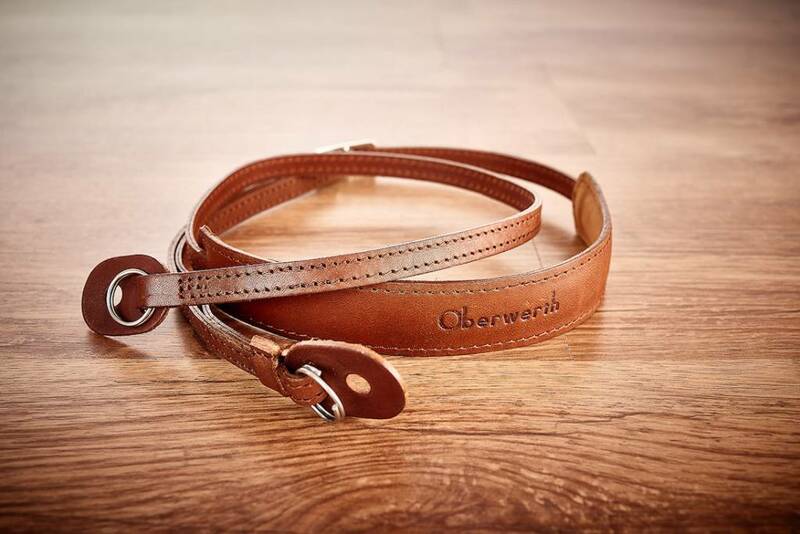 Like all Oberwerth products - 100% handmade in Germany! For the love of photography. Weight: 65g / 2.3 oz. / 0.14 lbs.